- A unique wiping action expels debris, keeping machines running and reliable. - The linear system can operate with or without lubrication. - Linear guides can operate in any plane or orientation. - GV3 can be provided as an assembled unit or as automation components. - V slide systems can operate at high speeds. - Precision ground running surface ensures a low friction and high accuracy system. - GV3 is one of the quietest linear systems available. - Suitable for a wide variety of environments from clean rooms to hostile conditions. 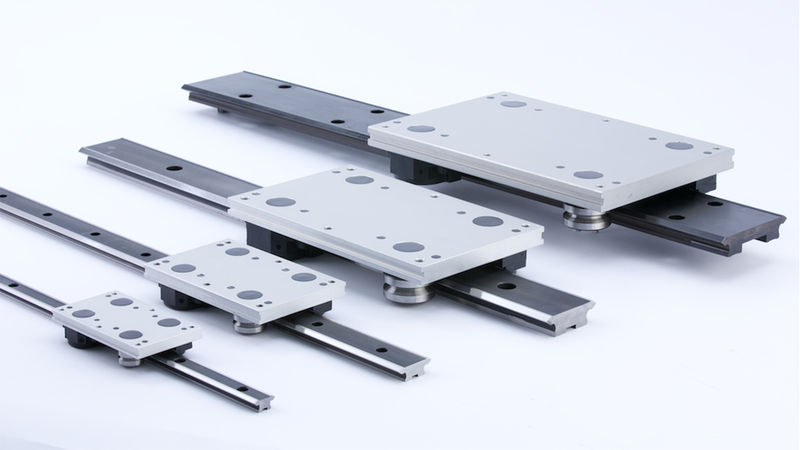 - Linear bearings can be adjusted instead of being replaced, reducing maintenance costs.